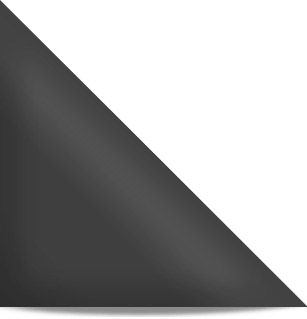 Home » Am I chasing the salary surveys? If i were an employer and you came to me within 60 days of starting to ask for a pay increase then you would not finish your 90 day probationary period. You agreed to a pay during negotiations for the job. Now you find a salary survey and want more? You come across as greedy or dumb. Didn’t you look at salary surveys before hiring? Unless the job substantially changed from what was described, you need to earn your raise. Salary surveys are fine, as far as they go. But like any generalized statistic, they don’t describe the landscape with sufficient granularity. If you knew the position typically was compensated at, say 125k, with a standard deviation of 25k…THAT might reveal how useless the average is. Or, if the compensation were accompanied by years in grade in the same company, THAT might indicate something, too. Concerned over 5k? What’s that as a % of total pay, 5%? I would be hard pressed to risk a working relationship over a few percent. Excel at what you do, and work on a subtle way to discuss reward when management opens the door at review time! Surveys can be similarly misleading during interviews. I lost a dream job at a critical time, over 10k, which I KNOW would be forthcoming when they saw what I could do for them. You simply don’t know what’s in the other guy’s mind. Not everybody is a good negotiator, or willing to accept “I’d be pleased to consider your best offer.” For an HR manager or Controller type, there can be less perceived risk in hiring a less costly candidate. Salary surveys are pointless unless they break out ranges by specific geography, i.e. cities, counties. Even “northeast” or “southwest” is too vague. $50,000 in Harrisburg, PA vs $50,000 in New York, NY is day and night. Latest calculation I’ve seen says you’d need ~$103,000 in NY to have the same purchasing power as $50,000 in Harrisburg. Salary surveys also don’t tell you how hard you have to work for that money or what the environment is like. Your job is straight up 40 hours/week and the boss kicks you out of the office at 5 pm and tells you to go home. There’s free soda in the break room. There’s a flex schedule. And the guy down the street making $5000/yr more than you has to work 70 hours/week, has a boss who’s a jerk, and is doing work on an old laptop running Windows 95 because the company won’t spring for a new one. I’ve worked for companies who I know paid me less that I could have made elsewhere. Heck, some even said it openly! The last time I checked my salary against the survey results in my profession, I was surprised how accurate it was. This one broke down compensation by sevreal factors including experience, education and geographic location. The only thing missing was a standard deviation. I may have been lucky to fall right in the middle of the curve. @Chris: The salary calculator at jobsearchintelligence.com does a very good job of factoring in geography. For my state, Ohio, it distinguishes between ‘Eastern Ohio non-metropolitan area’ and ‘Southern Ohio non-metropolitan area’. It also wants to know where you went to college. It’s also free. I can sympathize with the writer about compensation, but there are always 2 sides to every coin. Consider what about if the new employer — for whatever reason — is financially sensitive, and prone to making decisions based on their best interests, not necessarily yours. You could swing for more money, and maybe even get it. But for how long? Maybe as long as it takes for the employer to find someone else who could do the job for the same money you were not satisfied with. Law of supply and demand. Pay attention to Nick’s advice — it makes sense in today’s economy; and think about where the economy (and thus pay scales) will be going over the next few years if the economy double-dips. Been there, done that, it’s a bummer, but you need to move on. Chalk this up as a lesson for the future, as statistically you will be doing this many times throughout your career. As Nick and others have said, you made a commitment; to renegotiate now would paint you as naive, greedy, or dumb, bad labels to have this early in your new position. As said earlier, you will still have a black mark with your manager and/or HR if they don’t terminate your employment. It’s frustrating, but instead of letting this bring you down, if you focus on improving your skills and your worth to the company the money will follow. Good luck! About 7 years ago I had a personal salary survey done. I was arming my self for a raise. It was a web based site that did it for me. I had to enter my job history, education and experience and the suggested salary I got back or I should say the report(it was 4 pages) was specifically for the region I lived in and the local job market for my field. I felt very confident about getting it. After all that work and money invested(it didn’t cost a lot), my appointment with HR and my manager was short lived and I was told by HR “We have salary surveys as well and currently you pay is within the range you deserve to be in”. This was after completing a major IT certification and was promised a raise after completion. I have learned that you can only be happy with what you and the manager agree to and HR says OK. If you feel that you are under paid then you have to make the decision to be content or move on to another position were you are valued more however you have to be realistic and keep the things in perspective. $5K/year? Hmmm…I think that’s a good margin for a new employee – no one starts at the top. Most companies determine a bandwidth and then build in a 5-10 year plan for incremental increases. I would give it some time, it’s always better to not be overpaid. It’s a competative advantage. Forgot to add that if it were me, I would wait until your first performance review to ask about how they determine salary increases and timelines. If you don’t have a review withing the first year, it would be fair to ask for one. The other thing to consider is what perks or benefits employees get – that could cut in to that $5K difference in cash. Also, what percent does this $5K reperesent of total salary? If the reader is making $100K, it’s basically peanuts, and can be made up during review time. One thing I’ve learned to ask, especially when I get called about jobs that pay less, is to ask about their reivew process and career development process. 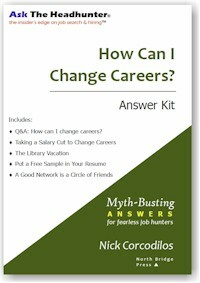 If they have one, and aren’t hostile to your career goals, that’s another thing to consider. Salary surveys aren’t the end all and be all. They can be a good guide but you have to do your homework beforehand, ask the right questions and to balance everything one you have a job offer. I am an Office Manager in a small satellite office making just over $50,000 a year. In searching for a new job I am being offered about one third less to do the same job, often in a bigger office. Salary surveys might show me how lucky I am if only my boss wasn’t such a monster. I’m with Nick on this one; at least wait until you’ve been there for a year and had a job performance review before asking for a raise. In this day and age, with unemployment still above 9% and many highly qualified people looking for work, many employers can lower salaries simply because people will work for less. $5K doesn’t sound like a whole lot, but that also depends upon your salary. If you’re making a high salary (let’s say $100K or more), the $5K is chump change. If you’re making $40K, then I can understand because that extra $5K, while not a whole lot, would help. Another factor to consider is the benefits package, if there is one. If the employer offers health insurance (including family health insurance so a spouse and children can also be covered), paid vacation time, paid holidays (and more than Christmas and Labor Day), paid sick time, tuition remission/reimbursement, etc., then those benefits far outweigh the $5K in salary. If you ask for a raise while you’re still in your probationary period (if you have one), you will look greedy, entitled, whiny. I assume that this was the salary you negotiated, or even if it wasn’t, if it was a “this is what the salary is, take it or leave it” kind of “negotiation”, you still accepted the offer and that salary. If you’ve only been there 2 months or less, the company is still watching you and you may not have proved yourself to them yet, either in terms of doing the job or improving their bottom line. Salary surveys can be a good guideline, but not all of them take geography, experience, the economy, and other factors, both tangible and intangible, into account. Salaries in Boston area tend to be much higher than salaries elsewhere, for example, because the cost of living in the Boston area is so damned high. The job itself may only be worth $30K/year, but it will pay at $80K/year in the Boston area because no one can afford to live on $30K in the Boston area. I’d wait until the annual job review before asking for a raise. By then you’ll have proof to your boss and HR that you can do the job and the value in profits you bring to the company. Merely saying that you want an extra $5K because of some salary survey isn’t going to fly. And if the company doesn’t do annual reviews or doesn’t give raises, then you start looking for another job. 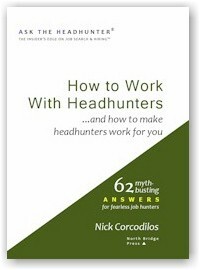 If you are taking Nick’s advice to heart, you will thoroughly understand the revenue and profit generated by your job. 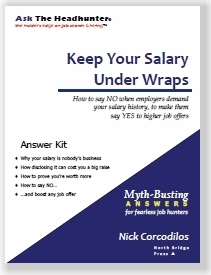 Salary surveys are absolutely no justification for a pay raise on an individual basis. The ONLY reason an employer will pay you more money is if you can demonstrate that this investment will be worth it to them. If you really want more money, you had better demonstrate value, as an outside consultant or vendor would. In your information gathering, take a look at a variety of the “salary” websites, plug in your job description, and look for the salary range bell-curve they post. Sometimes it helps make sense in considering what *your* range is. Take the midpoint for the job description, say $55K, and make your range 80% to 110% of that as to what you would accept or consider fair. This probably fits in with the employer’s range for the position; and they like to hire somewhere near the midpoint because it gives them room for salary growth (rate steps) if you work out in the job OK. I would then state my range as $55K to $65K; keeping secret that I would probably accept the position for as low as $45K if I had to; realizing that I’d also need to negotiate for “perks” if I couldn’t get the salary wanted. The same applies to after the fact, in deciding if what you were hired at is within a workable range. If not, then it’s time to carefully try and negotiate for additional benefits (like an early review), or start looking for another job. Remember: that once you’ve said your number, like when you were in the hiring process, it’s next to impossible to negotiate upwards without creating some animosity. I agree with Robert. Forget about the salary. It is just over $400 per month before tax. Expend your energy on adding value and doing the best possible job for the company. Your work will be recognized and you will be promoted and $400 dollars will be nothing. If you continue to stress over the dollars you will go no where and instead of working for a company and in a role you “love”, you will be scrambling to find a job: any job. Be thrilled you are working at something you love. Most people would pay $5K per year to have that. The salary you’re worth is the salary that you can command, end of story. It doesn’t matter what salary surveys say (for all the reasons people have mentioned here); all that matters is what actual employers are willing to pay you. You accepted this job at this salary for a reason. It presumably seemed acceptable to you. If you were able to command higher offers, you presumably would have learned that during your search, and you either weren’t able to or turned them down for other reasons. The market will tell you what you’re worth, if you pay attention to it. I may be a bit of an iconoclast, however I don’t spend much time with salary surveys. Assuming you have been upfront with me about benefits, expected work hours, the “team”, working conditions and so forth I will have the number X in mind. I don’t care at that point about a salary survey, the job market, the economy, shareholder value or whether your HR person or controller defines employee goodness in inverse proportion to initial salary request. If your offer is X or greater than X, we have a deal. At the end of the discussion, the employer has to be happily anticipating writing you a check on a regular basis, and you have to quit looking for a place to work. A salary survey won’t affect that one way or the other. Salary surveys just never cease to amaze me. Don’t get me wrong. It’s interesting stuff to the extent it’s presented as descriptive. You can take any population and run the stats and tell us what they make… but NONE of this stuff is prescriptive. That is, no survey can tell you what you’re worth for a specific job. If it could, we’d never need salary negotiations and no one would wonder what offer they’d get, right? Like the job boards, which “describe” jobs and resumes which “describe” you — none of the descriptions are accurate enough that they can be used to match people to jobs. Please ALWAYS keep this in mind. These things are thumbnail sketches at best, and the surveys are ALWAYS describing other people — not you. Even if they include 50 factors that are relevant to you, is that you? Even then, as Alison Green says, “The salary you’re worth is the salary that you can command, end of story.” You might be able to command lots more. One could argue that the firm Reginald Gite mentioned actually produced a personal salary analysis — but I don’t buy it. Even if it’s close to his (then) current salary, can it be used to determine what he’s worth to the next employer he talks to? Of course not. Even a fortune teller is right about some stuff… because people have a lot in common. I think Robert summarizes it nicely: “Salary surveys are absolutely no justification for a pay raise on an individual basis.” Or a cut, as Dianna points out. In this economy, I do not think it makes sense to fight over 5K. If the salary was not enough, the job offer should have been declined. However, if this job offer was taken after being out of work, be happy to have a job. This person should try to do a bang up job, so that at the one year mark, he/she gets a raise or a generous year-end bonus (if offered). I believe that this person is unhappy at their new job and looking for reasons to validate their unhappiness. good points all. I think Dave’s point is particularly well taken, 5K relative to what? And to extend the math, based on 2080 hour work year that’s about 2.40 an hour. And extending Mary Beth’s point on benefits a bit further..as a manager and a recruiter I’d remind a candidate it’s about the whole compensation package, and that’s about more than base pay, right down to your carrying costs. Are you going to commute 50 miles round trip through dense traffic for 2 hours a day at 4 bucks a gallon for gas plus wear and tear, or work in close to your back yard? Some of these considerations come right off net. How does that stack up to 2.40 cents less gross? Salary survey’s are nothing more than a tool, used by employers to plan and calibrate budgets and in this case, by an employee to get a ballpark idea of how they fit into their vocational value. But if an employee is going to use a salary survey as a tool they need to understand some basic things as to how company’s use them. He/she is assuming the company uses it to exactly guide what they pay. It’s more true to say they use them to position how they’ll pay vs their local market. That is, once they have that info, a company can decide they want to lead the market and scale their pay ranges to the high end, they can aim at the average, or believe it or not they can decide to pay on the low side and plan accordingly. In short, it’s very likely that the person who thinks they are underpaid by 5K, may be paid correctly per that company’s pay strategy. in other words equitably vs other employees….in that company. Let me give you an example. I worked for a company that grew fast and structured mulitdivsionally. Over time it became apparent that there was no pay consistency between divisions. So they decided to fix it, participated in the applicable surveys, decided they’d pay to the higher end (not to be nice, but to get the rep for so doing and shove competition for personnel out of the way) and then did a company-wide “blue bird special” a one time only that put everyone where they thought they should be pay-wise. This was not a small amount of people, and it cost a bundle. Nice while high flying, but if you lost your job & wanted to stick around town, you were likely facing a pay cut. so it goes back to Nick’s point and others. focus on the job and why you took it. That 5K delta to a generic localized salary survey may not mean what you think it does, and if you do well you’ll get it back. And the example begs one more question. Why didn’t you research salary ranges before you took the job if that means so much to you? That’s likely what your boss and/or HR will ask. Nick is totally correct, along with all the other comments in my opinion. 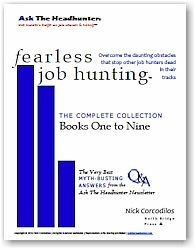 As a headhunter my worst nightmare is when a candidate tells me they have checked the salary surveys and know what they should be making. Uh, no you don’t. I spent an afternoon once running salary surveys on multiple sites. The disparity even by specific geography was unbelievable. I also took my local area where i know the payscale of most of the companies in this city and ran them. Most were too high by 10 to 20K over what people are making. think about where the data comes from. People filling out forms and putting down salary. Salary surveys of companies. Most of the companies i know will not provide that info. If they do they either give a range or give it high for all kinds of reasons. So from what i have seen they are pretty skewed. I agree with all your points. I’d glady (or at least give it ample thought) to take a small pay cut, to get other perks or to be in a more stable situation, etc. In the end, salary surveys are a good starting point but shouldn’t be the Bible when it comes to compensation/salary negotiation. @Reginald Gite: Were you promised a raise after certification and then did not get it? Sounds like HR had read too much Machiavelli. Or Dilbert. But that’s an issue of promise violation, and shows the dark side of salary surveys: You can use them to get you salary up, and employsers can use them to get the salary down. In my previous job, my start salary was equiv to $66K (assuming $1=6NOK). I was happy with that at the start, rising substantially from the previous job’s $53K. Later, my salary increased to $81K, but I found that I still made less than the comparable average of $88K, based on education and experience. I never complained about the initial salary. May be I should have used surveys to up it up a bit – but happily I accepted the offer, so no one to blame afterwards. However, later, I got somewhat angry on the organization when I was not raised to the average level I should have according to their own policy – because they never answered my enquiries to WHY I made less. Work is not Lake Wobegon, everyone cannot make above average, but given that I got good feedback on my work, I wanted to know WHY I made less. Left later for relocation reasons, so I don’t know how it might have ended. Point: Accept or reject what you get at the start. Leave if the place/benefits/boss is worse than expected. But raise the salary issue later in proper context with regular performance reviews and pay adjustments. THEN you many have a reason to get angry if they underpay you. The guy had worked his way up in the company from systems admin (blue-collar, usually held by people without degrees) to business analyst (white-collar, usually held by people with bachelors degrees). Presumably he was paid about the same salary as the other analysts but he kept reading in the paper that people with degrees get paid $X,000 higher salary so he went to night school for years and eventually got his bachelors degree. He marched right in to his boss, showed him the degree, and asked for his $X,000 raise. He was shocked and dismayed to get no raise at all since his worth in that job had not changed.